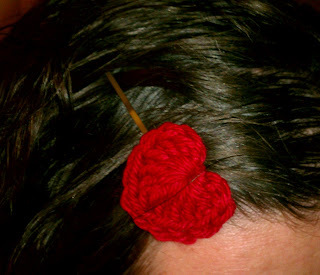 The other day, Tangled Happy shared a link to a blog with a pattern for tiny flower hair clips. 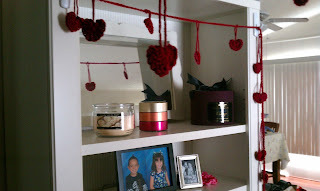 The pattern is extremely easy to follow and the hearts are just adorable! They are so easy to make, that I made one in under 90 seconds. That's really fast! 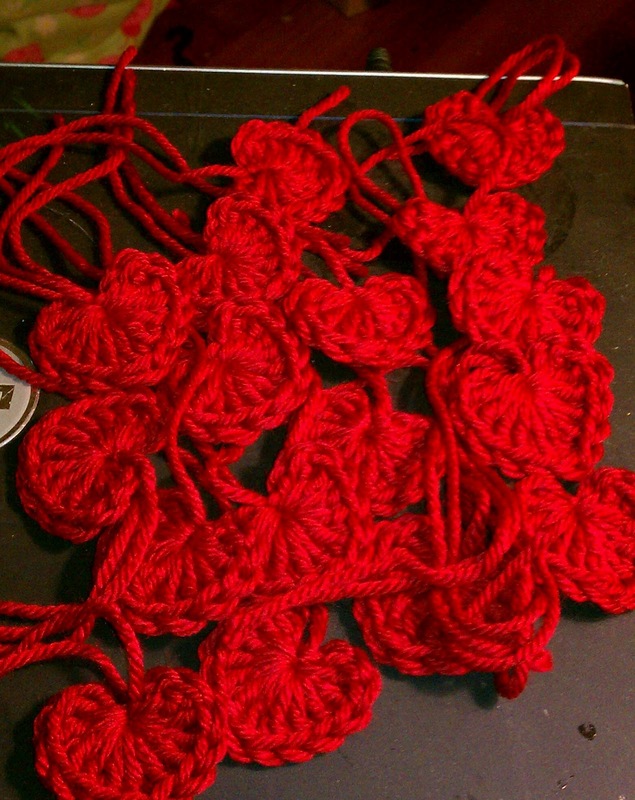 The red heart was made using the exact pattern that was shared. 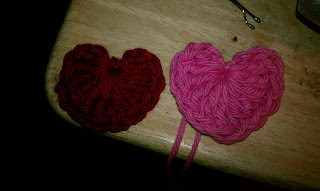 The second heart was made with 2 extra double crochets that I thought would make the heart even better. 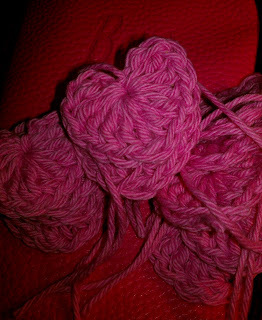 Red Heart Soft Yarn on the left and Lily's Sugar and Cream Modern Pink Yarn on the right. They are so much fun, that I've become a little obsessed with them! 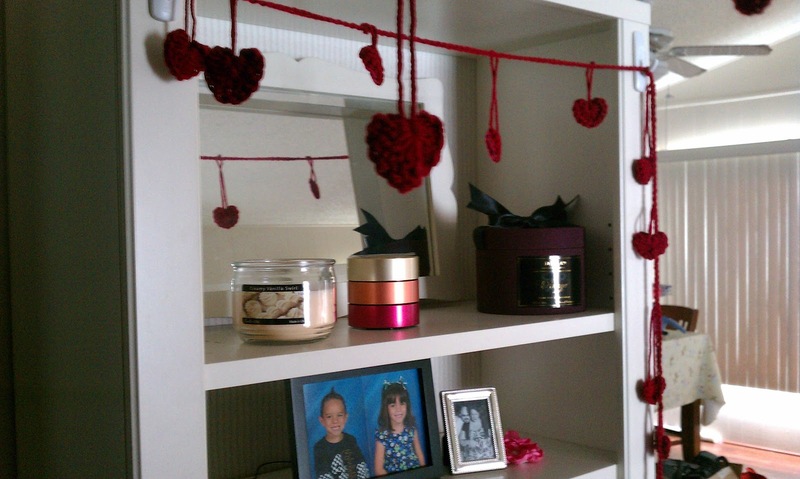 I even hung some up to decorate the living room. I'm making more. My intention is to give hair clips out as Valentines to my students. I have 30 done and another 45 to go! 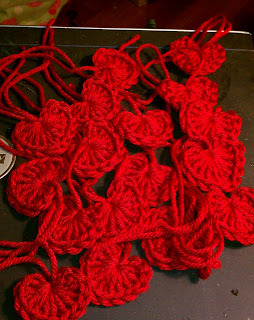 Make your own quick heart necklace!